This month’s lockdown will be featuring our friends from VCBC! 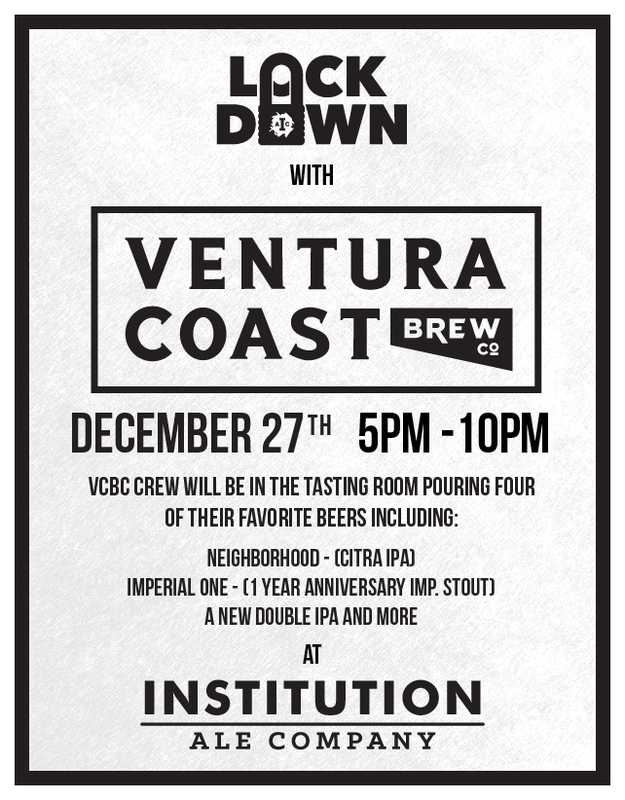 Join us at the brewery on December 27th and come hang with the VCBC crew and try some of their favorite beers. Don't miss out on this one night only event!